Left-back Luke Shaw has agreed a new five-year deal with Manchester United, worth a reported £150,000 a week. The 23-year-old England international’s current contract was set to expire next summer. 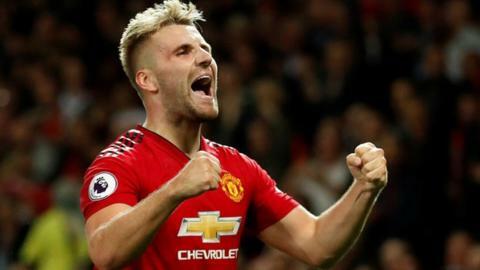 Shaw’s progress has been disrupted by poor form and fitness issues, limiting him to only 75 appearances, but he has been a regular for United this season. Recent performances earned Shaw – who joined United from Southampton for £27m in 2014 – an international recall.